A father who stabbed his 4-year old son to death has been found not guilty because of mental incompetence. 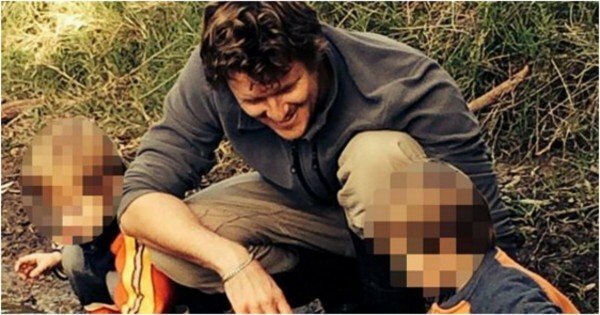 Two days before he stabbed his four-year old son to death Dave Janzow posted an image of him with his two kids on Facebook. “Unforgettable moments in a frog pond,” he wrote. The image showing a fit, healthy father with his two sons was nothing out of the ordinary. Just a regular dad with his kids. 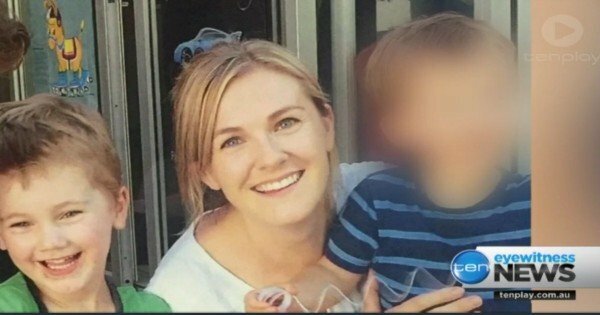 Nothing in it foretold how he would stab his son to death in his ute, how his wife, Julia would ring police in a state of panic saying she had concerns for her son’s welfare at 8.30am or that his father had taken him out in their car. No signs that he would murder him in a frenzy. Nothing in this simple image foretells how four-year old Luca would die a violent and gruesome death and his father, who loved him, was charged with his murder and then ultimately found not guilty. At the time it was simply a Facebook photo, like thousands of others we see when we scroll through. “Unforgettable moments in a frog pond.” David Janzow with his two sons. At the time it was unforgettable, but its now one of the last pictures ever taken of Luca Janzow. Yesterday Luca’s father, David Janzow, 37, was found not guilty of his son’s murder after a judge found Janzow was “mentally incompetent” at the time of the killing. 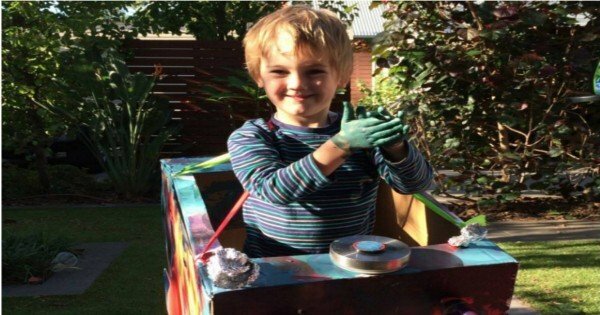 The court heard during his trial that the then 36-year old landscaper from Adelaide had taken his son Luca out for a drive with the intent on killing him as he wanted to “save Luca from what was to come”. Documents tendered to the court said Janzow was diagnosed with bipolar disorder and had a long history of depression. As paramedics treated Janzow he told them: “I’m a psychopath with mental health problems. I stabbed my son with a Leatherman [hunting knife]”. In her victim impact statement tendered to the court yesterday a heartbroken Julia Trinne, who now lives interstate with the couple’s other son, said that she had no indication her husband was capable of what he did. “Dave became acutely unwell in a short period of time with absolutely tragic consequences,” she said. “There was no warning. There was no suggestion any of us were in danger. “I loved Dave right up until this terrible tragedy. In most other circumstances I would’ve been by his side no matter what, I would’ve worn my wedding ring with pride until my last days but now I cannot. “A living nightmare does not come close to what I have been going through. “In time my hope is that this tragedy will bring understanding and awareness to mental health. 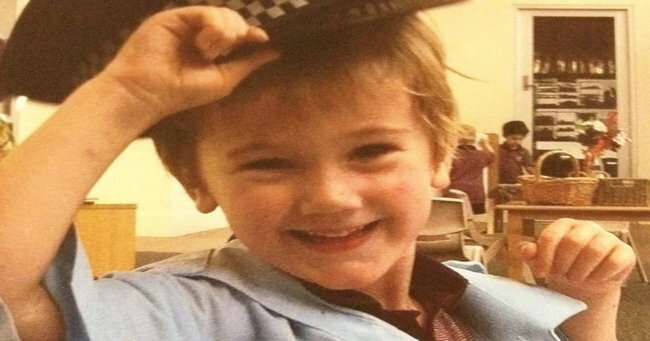 In her statement yesterday Luca’s mother told the court how she was devastated by the murder of her “cheeky, creative boy with the most incredible blue eyes, infectious smile and laugh”. “I have found that the rollercoaster of grief works in mysterious and unpredictable ways,” she said. “I can only write about the experiences and challenges I have had to date, who knows what the future brings. “At the young age of four, Luca had the inner wisdom of someone far beyond his years,” she said. Ms Trinne said she would use her family’s tragedy to lobby for greater awareness and acceptance of the mentally unwell. “I loved sharing my life with Dave (Janzow) and I envisaged us as always being together. Dave was a beautiful husband … and was a loving and caring Dad,” she said. “I wish I knew your Dad was so unwell. “ Julia Trinne said. “I wish I knew your Dad was so unwell. “ she said ”I wish I had heard something that morning or that I had got out of bed just a little bit earlier than usual … to stand in-between you and at the very least to have held you in my arms as you left this world,” she said. The Advertiser reports that in court Janzow wept as his former wife spoke how their family had fallen apart. “The man I would have turned to, the man who would have held me, comforted me, in the devastating times was gone,” she said. “The man who I would have been grieving with, the man I loved so dearly was the man who took my son’s life. “My hopes are that this tragedy will help bring awareness, understanding, support and promotion to mental health and bring attention to the struggles people with mental health issues and their supporters face,” she said. “For people around them not to deny or be ashamed but rather accept it,” she said. David Janzow was found not guilty by reason of mental incompetence. He was detained in a secure psychiatric facility, will now face a lifetime supervision order. Julia Trinne lives with the couple’s other son, Luca’s brother interstate.